This is a quick reference guide to essential guitar chord forms. On each type of chord you will see the chord spelled out in notation with the chordal relationships also shown (Root, b3rd, 7th, etc.). 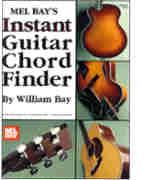 You will also be shown the three most popular forms of that type of chord in three different locations on up the guitar fingerboard.